The beach isn’t so cold in winter when it’s a Viola Beach says Getintothis’ JoeyRayW and new single Boys That Sing will be the anthem to thaw the winter blues away. 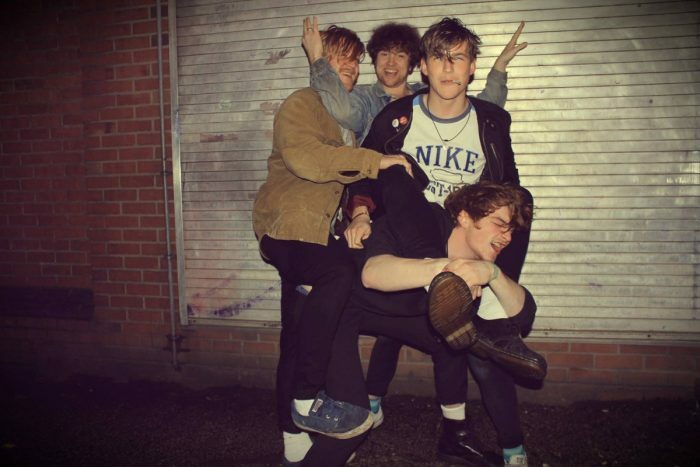 Four-piece Warrington boys Viola Beach have been making waves in the last year, and don’t look to be slowing down anytime soon. The new single Boys That Sing is only the start of what will be a major year for the band, as they are set to take their glamorous indie rock and roll around the UK this spring. The new single has launched alongside Communion Singles Club, a subscription service which offers up special limited edition 7′ singles of the best up and coming acts the UK has to offer. Communion picking Boys That Sing as the first release shows just how much stock is being put into Viola Beach from the label. The single itself is an indie pop love fuelled anthem, a song for today, a song for tomorrow. The rhyming nature of the track allows for it to easily worm itself inside your brain, and then it’s too late, you’re hooked. The youthful energy and upbeat mood is a fresh alternative to the misery so many bands are drawing their sound from (not that a moody number is a bad thing), and it’s easy to see why Viola Beach are already racking up a million plus views for their music on Soundcloud. Sometimes people just want to dance to boys that sing. Tickets are available for a whole range of upcoming gigs, from Liverpool to Viola Beach‘s hometown, and with their first headlining venture home at the Pyramid already sold out, you’ll have to act fast if you want to be part of the beach party.